Episode 15 surprised us when Joon Young turn back to Yeol in the lift and grab her hand. We never expect he would do so. 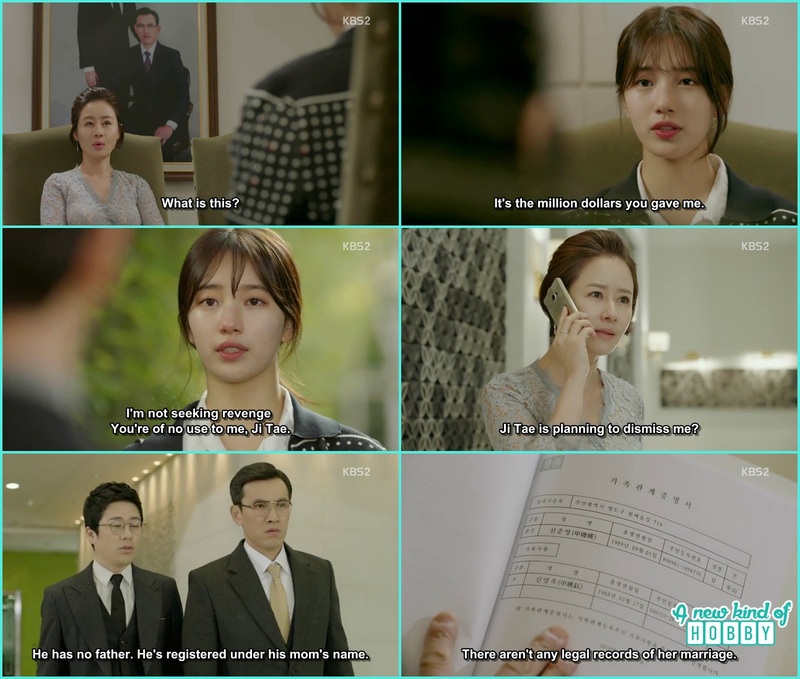 Why and what's this care for now when everything got messed up and Eul had to bear the hardships alone. Unexpected Joon Young took to his house and cook a meal for her. 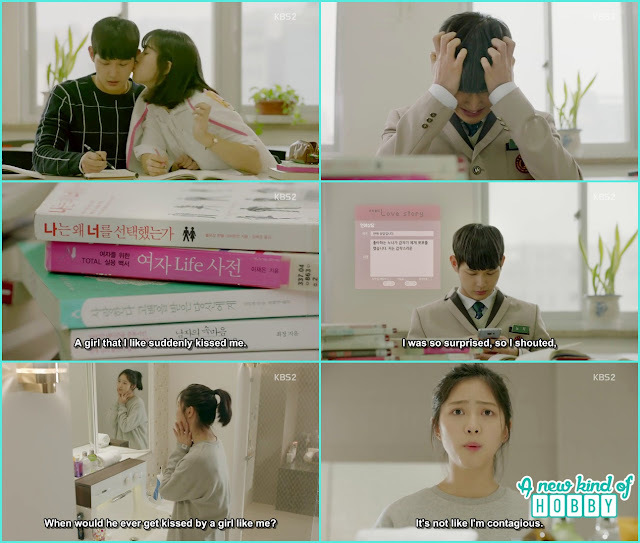 It was hard to digest how come Joon Young change his mind to get back over Yeol and leave his revenge on Jeon Eun. My sister may be its one of two dreams but i said no the dream and imagination can't be soo long. 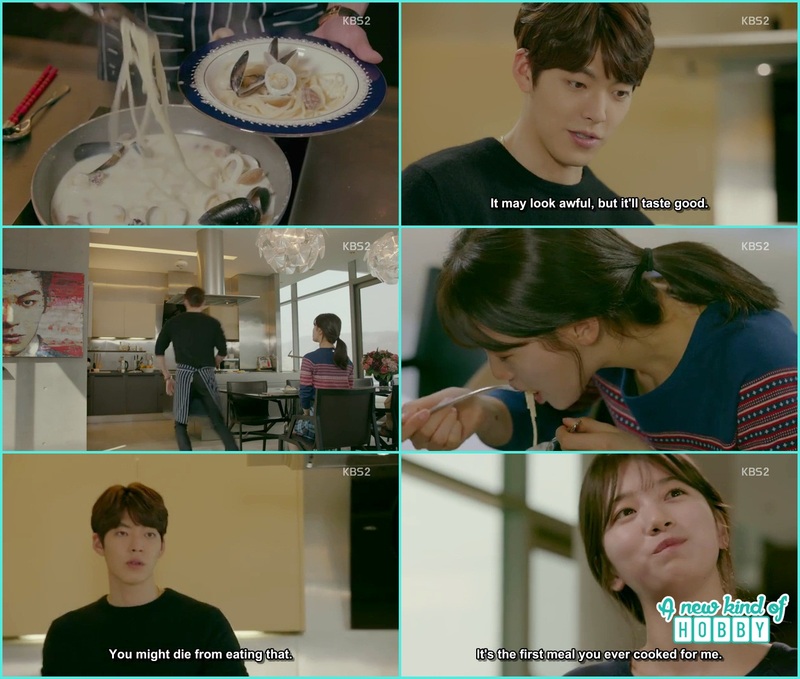 Joon Young prove he isn't a good cook but Yeol still eats what milky spaghetti he made. He just taste a bite and it was weird he spit it out, but Eul continue eating it. 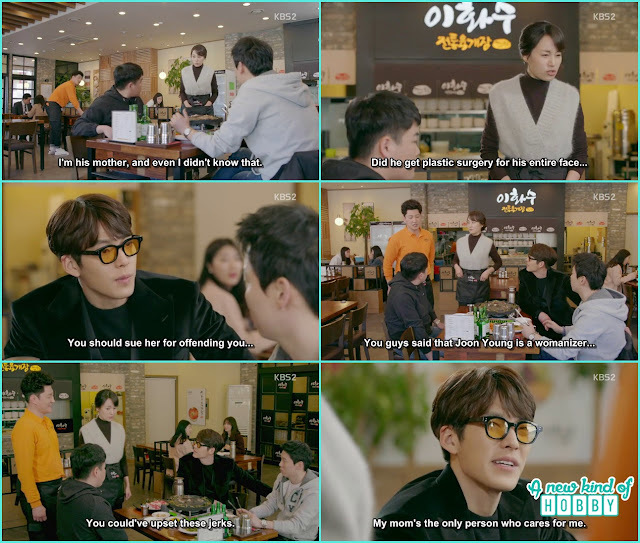 It was the same scene earlier where Yeol cook for Joon Young and it was salty but still Joon Young eat it saying , how can i throw what you make for me. Reminding this scene i can't believe my sisters words its a dream. Yeol was eating so deliciously she asked for some kimchi and the next moment she didn't receive a kimchi byt a passionate kiss from Joon Young. It wasn't it a dream the two of them were totally into each other. But something looks a bit off an element was missing out of it. Eul spend a happy time at Joon Young's house they played and had fun. But unfortunately all was Eul dream that Joon Young is comforting her but it wasn't so, we feel bad for her. 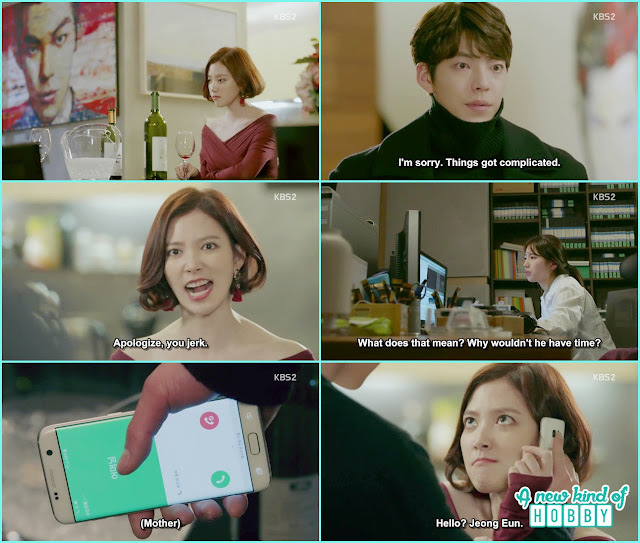 Joon Young ignore Eul and came to the witchy Jeon Eun saying let Ji Taek go and we two celebrate the time together. Seriously Joon Young become too cruel at the moment. Ji taek was angry on him not knowing what he was up to. He call Joon Young to knew why he approach Jeon Eun. Joon Young calmly replied all he want to help Ji Taek to get rid of that women. For Ji taek it was hard to believe same for us. Two of the customers at Joon Young mother resturant started bad mouthing Joon Young. Out of blue Gook Young who once was Joon's manager couldn't bear the loose talk and was about to scold them. But Young Ok showed up and act as a caring mother for Joon after 14 episodes. It wasn't all Joon Young came all the way add a little fire to the situation and sprinkle cold water to make the atmosphere light. Eul came to Joon Young to say her last goodbye, what's this how can she give up on Joon Young so easily. But things turned up to be so. She wanted to knew the reason why they have to break up. Joon Young didn't reply his behavior irritates No Eul she ask for the compensation money as Joon hurt her feelings also for wasting her heart time and energy over something useless. Joon Young give her a blank check saying fill as much as you want. Eul being realistic said i am filling 10,000 dollar please don't report this check as stolen. Pitiful No Eul. 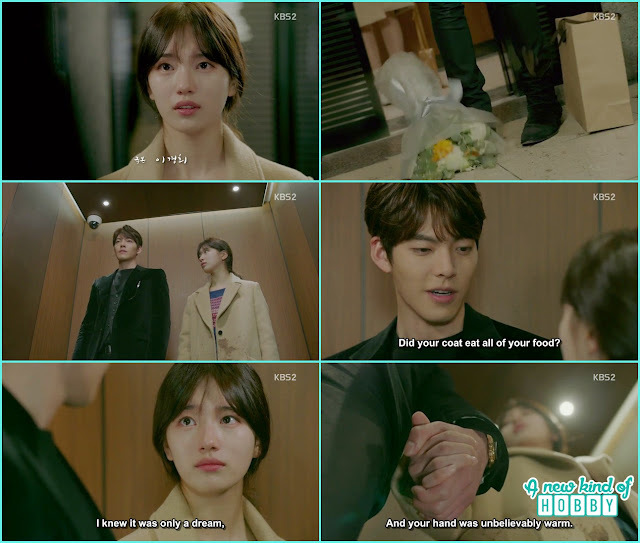 It was really a sad scene which makes our eyes teary seeing Eul position. Jik couldn't able to concentrate, it was due to Ha Roo's sudden kiss. He couldn't find the reason what's going on with him because it was his first time. He read many books, searched online and threw questions in a forum but nothing was of help. Ha Roo tried to contact him but couldn't reach and got irritated for being ignored. So Eul didn't get the compensation money from Joon Young she just ask for the amount she spent carelessly. She went to return the money to Ji Taek's mother and want to clear even with out this money she won't be meeting Ji taek. It took too long for prosecutor choi come back to his senses. It was after the meeting with Young ok he started to take interest in Joon Young. He ask for a background check and details on Young Ok life and Joon Young's father. In 14h episode he finally knew that Young Ok is a single mother. Starting from the first episode we didn't find the real reason why choi family make us angry specially Prosecutor Choi, then his wife, then Ji Taek in the last Ha Roo. Resturant Ajusshi out of blue pluck Young grey hair which shows he is interested in her. Both started argue. If someone do this with us we won't argue but beat him on the ground, because the other person never knew how much it gives pain for plucking hairs one by one. Prosecutor choi saw their interaction and his expression were like a looser who lost his gem. We were happy for Young Ok and resturant Ajusshi. 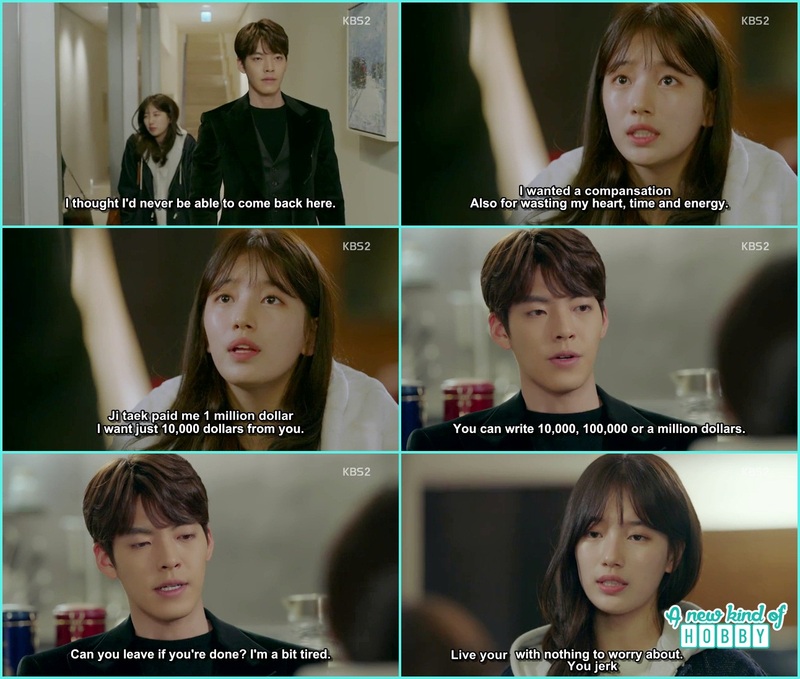 Producer Yoon call No Eul and ask her to arrange all the date she collected. She refused but seeing money she can't say anything and started to arrange the clips she filmed for Joon Young documentary. During this time she acted all stupid as if Joon Young is infront of her saying all those sweet and heartful things. But soon she realize she is professional and she can do it without getting over her emotions. Joon Young purposely leave Jeon Eun behind who was there to meet him. We didn't knew what's the reason why Joon is avoiding Jeon Eun. He went out and slept in the car for a long time. It make us curious what he is up to. It was late at night he came home and didn't surprise to see Jeon Eun still waiting for him. He patience was at the end of the cliff she shouted how could he made her wait like this. He should apologize and we thought the game turned over. The ball is in Jeon Eun coat's now. Neither we expect Joon Young to be this simple Mama's boy and apologize. But it was so he apologized for what he did. 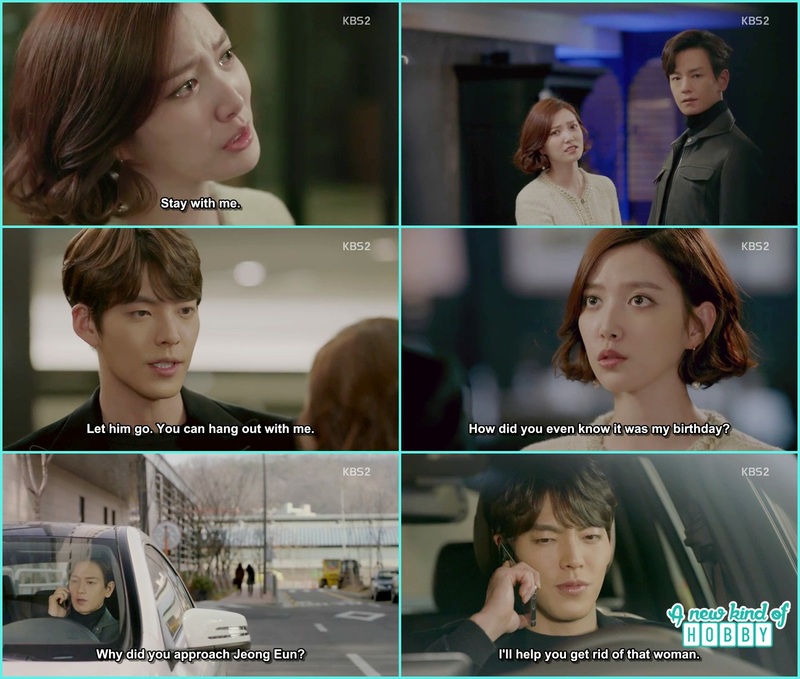 Ji Taek's mother call but Joon Young warn Jeon Eun to clear things before coming to him. Now we were curious about Jeon Eun reaction and knew Joon YOung made her angry and is controlling her mind. She told she is giving on Ji taek Daebal ... Thats' hat Joon Young wants. But what he did the next moment we didn't want him to do that. He kissed that witchy lady, but it was No Eul's place how could he do that throing up No Eul's love for the one who was responsible for ruinning No Eul life and making her miserable though. It was director setup he made a fool of us by showing No Eul dream and happy moments with Joon Young. We never want Jeon Eun to get over Joon Young and No Eul cry. All we want Prosecutor Choi along with Jeong Eun should be punish. 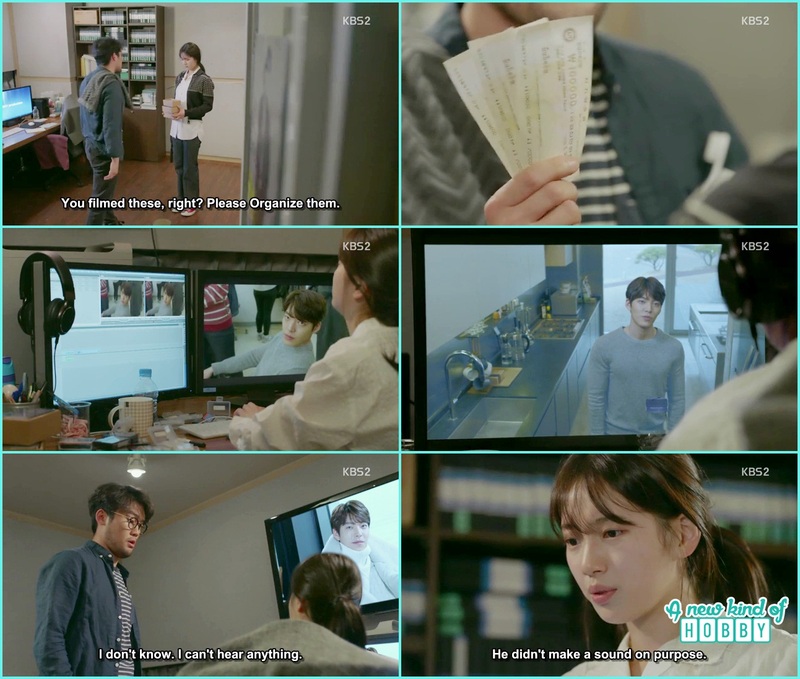 We were happy that No Eul solve the puzzle realted to Joon Young why he was pushing her away. But Joon Young shouldn't have gone this far with Jeon Eun she had a mental illness personality to get and rule over others.